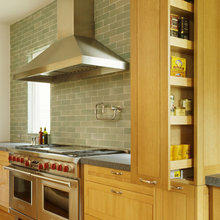 For a full Kitchen Remodel from $75,000 to $250,000. Bathrooms from $30,000 to $100,000 Kitchens, baths, mudrooms and any other room with cabinetry:design only starting at $2,500. Working with Liz was one of the best decisions among the thousands of decisions made on these two projects, remodeling of a master bathroom and a guest bathroom. Our vision was quickly shared. Her creativity exposed me to so many options that I could never have imagined. 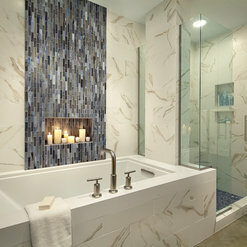 Her collaborative work style created a synergy that was open to possibilities throughout the project. Her sense of space, color, balance, materials and products pulled everything together, creating two wonderful rooms, each unique on their own, yet connected to one another and wonderfully integrated in the overall design of the whole house. 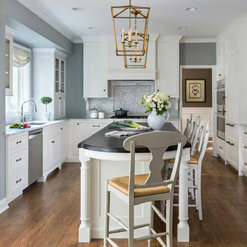 From fixtures for plumbing to lighting, from tile textures on walls and floors to wall paint selections, from wood cabinet design to selection of countertops, from use of natural light to task lighting, these two rooms were wonderfully transformed. The rooms serve the functional utility of bathrooms, within the context of places that offer a sense of comfort, calm and peacefulness. I would recommend Liz to anyone open to the possibilities of transforming their rooms into places where they want to enjoy life's moments. I selected Liz based on photos that I found of her previous work. She pushed me to think outside of my ideal ‘white kitchen’ box. Liz demonstrated her creativity through varied mockups that blended my taste with her design expertise. Liz’s knowledge and experience made it easy for me to trust her opinion in design suggestions that brought touches of color and character to the final design. 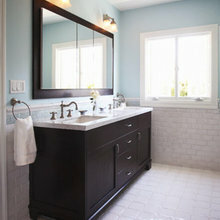 She is conscientious of costs associated with design changes and made sure to consult before finalizing the adjustments. Her demeanor makes her a joy to work with. Liz is patient and encouraged me to get involved in the design process— to the point of testing a variety of appliances to find the perfect fit for me. I still cannot believe that I get to use my beautiful custom kitchen every day! 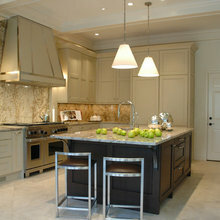 All thanks to my wonderful kitchen re-design experience with Liz Schupanitz. When starting a total full bathroom remodel I depended on Liz to advise me on various aspects of this project. I love to plan and shop for projects like this but I also know that the completed bathroom will be above and beyond what I originally expected if I spend the extra money for an expert in the field such as Liz . I contracted with her on a hourly rate to assist me through the maze of finding floor tile, wall tile, fixtures, sink, cabinet design and an incredible Kohler shower door that we love! Her ability in pushing out the ideas that are not so great was incredibly helpful to pull the whole design together into a fantastic bathroom project.I would highly recommend Liz as a consultant or to do the whole project. You will not be disappointed! Thanks so much Claire. You were a great shopper and so willing to search for just the right selections. Just a little guidance can go a long way and saves money in the long run! 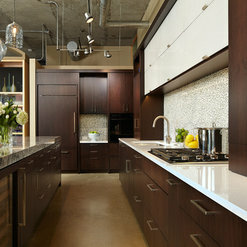 Liz was a conscientious, knowledgeable and creative partner in our condo kitchen project. We worked on a contract basis for the design, and she also assisted in choosing flooring, tile, cabinetry and appliances. We have a small space and wanted to do minimal wall movement, but change the traffic and work flow; she was amazing with the design to accomplish that. She did tremendous research on all aspects of the project that were unique and challenging, such as selecting an attractive hood that would fit our space. She was very conscious of our budget and kept us up to date with where we were with deadlines and billing. Our neighbors are totally "wowed" by our project and so are we!!! Thanks Fran! It was a pleasure working with you on your kitchen! I had the good fortune to work with Liz on our kitchen remodel. In addition to being a very talented designer, Liz was very fun to work with. She took all the stress out of making decisions and she did a wonderful job designing a kitchen that is both beautiful and functional. Her taste is impeccable. Now I want to be in my kitchen all the time cooking beautiful, healthy and delicious food for my friends and family. From our first meeting to the final walk through Liz was extremely professional and very detailed. Her knowledge of the products in the industry are vast. With a kind heart she guided me through the whole process. She is great!!! Thank you Jan! I enjoyed working with your on your kitchen. We hired Liz for two projects - one was for a built in buffet in the dining room of our home and the 2nd one was for a design of 2nd floor build-up for a master suite. She is extremely detail oriented, very friendly, focuses on your needs and then overlays her expertise in designing functional beautiful masterpiece. She treats the project as if the house is her own and worries about every little detail until it fits right. She coordinated with the cabinetry firm seamlessly; her involvement in projects are the only times when I don't need to be in the middle of it as she thinks for us (the clients) constantly. She ensures that the dollars are well spent. Our house is a 1921 center hall Colonial - the best compliments that we received are -- when several of our close friends, who visit regularly, saw the buffet and said "was this always there?" and "no one would know that this was built in 2014-2015".....that's the kind of expert Liz is! We are glad to know her and will involve her in all our future projects. I found LIz Schupanitz on houzz, and I am so glad that I did! I love my new kitchen. There is not a day that I walk in there that I am not thrilled with how it looks. Liz is an excellent designer who combines aesthitcs with a keen sense of functionality. Liz was great to work with, has a relaxed style but keeps the project and sub contractors on a tight schedule. She made the entire project fun and is very detailed oriented. I hope to get the chance to work with her again and higly recommend her to others. Liz is a wonderful, respectful, talented kitchen designer. 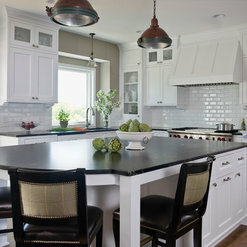 I think that the kitchen space she created for us is the best in the Twin Cities! She is creative but very receptive to her client's ideas. There can never be a better researcher. You know that you have been exposed to all of your options ! I would not hesitate to recommend her to anyone...plus she is fun! Our front door opens to the living room, dining room and kitchen. Liz understood how important it would be to create a comfortable visual harmony in our very open space. During our preliminary meetings, she recognized that deleting an angle wall could be a needed step in pulling together the three rooms visually. Moving one wall improved the configuration, thus the flow of movement overall. We gained kitchen counter top and storage space in the adjacent laundry room. We knew that we wanted and informal space that carried some of the aesthetic of a restaurant kitchen. Liz's energy was endless in her effort to find the right design, materials and products for us. We are very happy with our dark, dramatic base cabinets, open shelves in place of upper cabinetry, and marble counter tops. 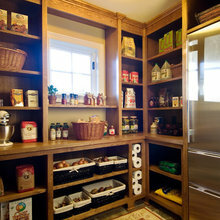 Liz designed a white oak buffet that is a subtle division between the kitchen and living room. Her recommendations tempered what could have been visual chaos. She paired beauty with functionality. Throughout the project, she payed great attention to detail, showing her recognition of what an important financial, emotional investment a remodel is. We also have her to thank for bringing us a meticulous contractor with an incredible work ethic. We highly recommend Liz Schupanitz. I had the pleasure to work with Liz on the design of all the cabinetry for the major renovation of our 1950's Cape Cod house on Lake Minnetonka. From the get go she was keenly aware of the timeless style and classic feel that I wanted our lake home to have. Her flair for design, incredible attention to detail along with her knowledge and understanding of space made for a truly great experience. We are extremely pleased with how all the cabinetry turned out in our home and the entire process of design to final completion. In addition, I am very proud to say that Liz won 1st place for our kitchen at the recent 2013 Minnesota NKBA awards and I very much look forward to working with her again in the future. Liz was great to work with. She listened to our ideas and concerns and incorporated those ideas into her design.. We collaborated until we were all satisfied. She was persistent at times to make sure we made the best choices. She kept looking until she found the perfect fit for us. She is thoughtful in what she does. We established some tight deadlines and she worked hard to meet every one. She always gave us options that included various pricing. She has personally checked virtually everything to make sure it was right. She is very prompt and her communication skills have been great. We are thrilled with both the design and the quality of the various elements. 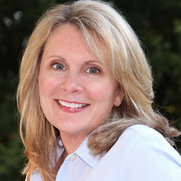 Liz has now done three projects for us - our master bath, a fireplace, and a complete overhaul of our kitchen. We can say without doubt that we are thrilled to work with Liz and highly recommend her! 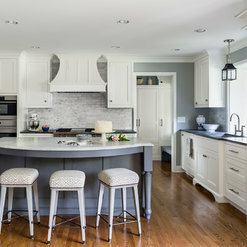 Commented: Length of islandThe island in this kitchen is 117&quot; long and 42&quot; wide with no cabinetry behind the chairs at the island. Commented: Where is the microwave? Looking to hide mine if possibleIt is directly above the oven at the left side of the photo near the open doorway.